Piso Fare 2019 Promos Until 2020: Low Fares From Cebu 2016! Low Fares From Cebu 2016! 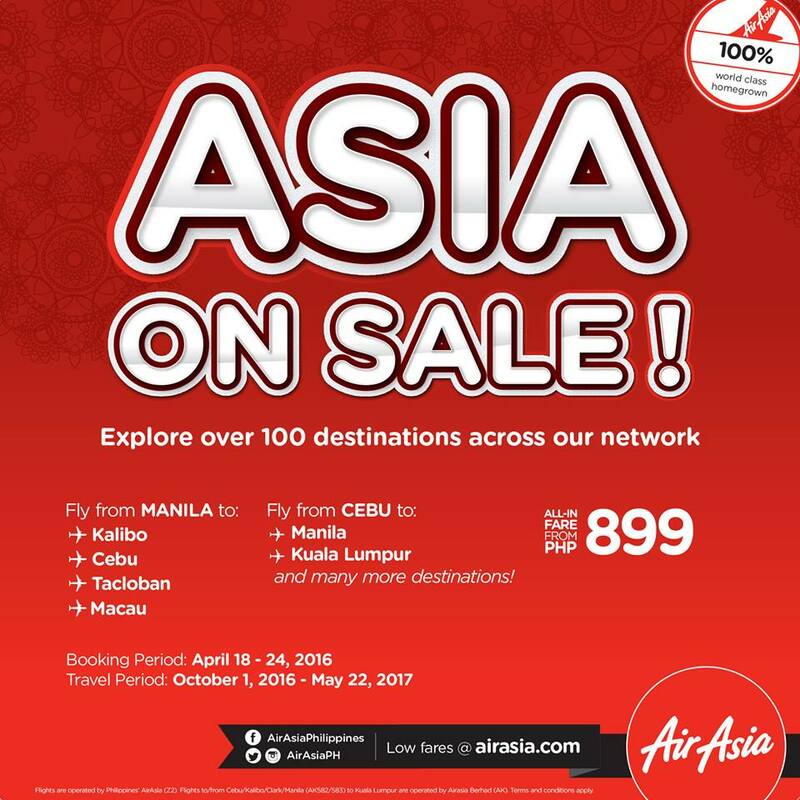 Piso Fare Promo 2016: Asia on Sale courtesy of Air Asia Philippines! Fly with low fares from Cebu! You can visit Macau or Kuala Lumpur too! For only P899 All-in Fare, you can have a vacation you can never forget. Plan your trips in advance and have it in Asia! 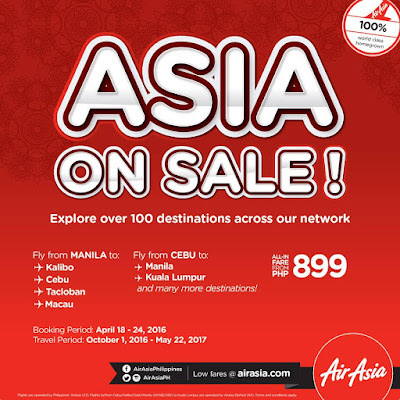 Explore the wide array of destinations you can fly with Air Asa Philippines! Please do mind the travel dates too! 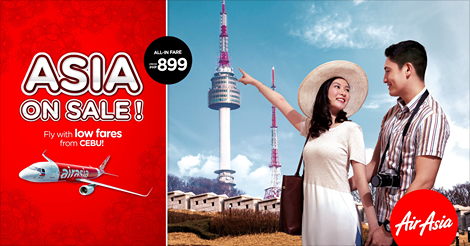 All-in fares start at P899 only! Book NOW! Explore over 100 destinations across our network. From Manila to Kalibo, Cebu, Tacloban, and MACAU! Promo on Php 599 is still on! PAL's Promo For Kids to Get Free Flights!